"Titus County Landmark!! With over 110 acres of pristine land boasting a main house, rental or second home, and a picturesque barn... This is what ranching dreams are made of! The main property is a 3 bedroom, 2.5 bath dream home featuring a gorgeous open floor plan with fabulous details everywhere you look. 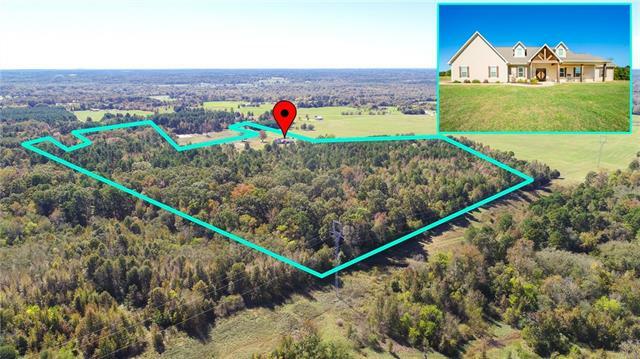 Enjoy a cup of coffee from your covered back porch and take in your beautiful acreage with 3 ponds or take a walk and enjoy your picture perfect red barn with over 5000 square feet of usable"
"4 BDR 4.5 BTHS AWAIT YOU AS YOU ENTER THIS TRADITIONAL SOUTHERN LIVING HOME. FROM THE SOARING 2 STORY FOYER YOUR EYE IS DRAWN THROUGH THE LIVING ROOMS WALL OF GLASS DOORS LEADING TO THE COURTYARD. THE KITCHEN IS COMPLETE WITH ALL MODERN CONVENIENCES AND LG GRANITE ISLAND. FORMAL DINING IS ACCESSED VIA WALKING PASS THROUGH FOR EASE OF ENTERTAINING. ADJACENT TO THE KITCHEN IS A DEN AND BREAKFAST AREA THAT OPENS TO A PATIO OVERLOOKING THE GOLF COURSE AND LAKE. COMPLETING THE KITCHEN WING IS A 1-2 B"
"Beautiful custom home sitting on 55+ acres in the highly sought after Chapel Hill ISD. 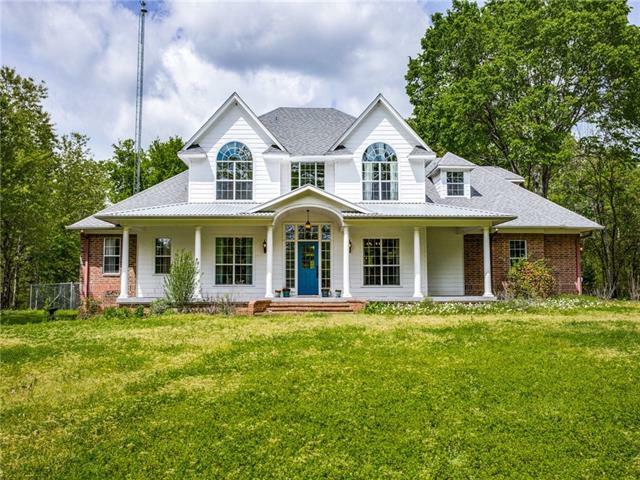 This gorgeous home, offers country living at its finest with 4 bedrooms, 3.5 baths, custom gourmet kitchen, nice walk in pantry, large open living area, office and laundry room. You can sit and enjoy the sounds of nature on the exquisite covered patio with a fireplace and TV hookup. 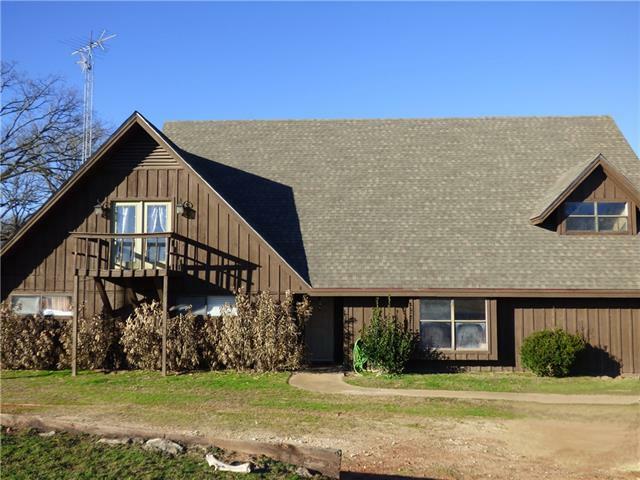 This wooded property offers great hunting and ATV opportunities as well. This amazing move in ready home is just waiting for the "
"All the extra's plus more! Spectacular 4-3 lakefront home! Vaulted ceilings with recess lighting accentuate, the stone floor-to-ceiling fireplace. Tile granite tile counter-tops compliment the stone backs-plash in the kitchen along w- the abundant custom cabinetry. The breakfast bar ties the kitchen and dining area together; creating a large open floor plan. Gorgeous views of the 7.5 Ac. private lake from almost every room in the home! Go fishing right from your back yard while you enjoy the gee"
"Fabulous 4bedroom 3bath home on large lot with beautiful, mature trees. As you drive up to the property the first thing you will want to do is grab a glass of sweet tea and sit on the picture-perfect front porch. Once you step inside, natural light floods this full-of-character home! With ample square footage boasting tons of exquisite details such as a massive kitchen with soapstone countertops, gorgeous stained concrete floors, crown molding, and a completely remodeled master bathroom. Just up"
"A little piece of heaven can be yours, and for a great value! Nestled into 5 wooded acres, this country retreat is perfect for the homeowner who loves a peaceful setting. Watch the birds and other wildlife right from your colonial front porch, or just enjoy the view of the neighboring pond. Inside, you can enjoy all the amenities of modern living, with an open island kitchen, commercial grade appliances, a spacious master suite with giant jetted tub, and a spacious laundry area. Tasteful fix"
"Gorgeous waterfront home in the Cedar Point Estates Subdivision. 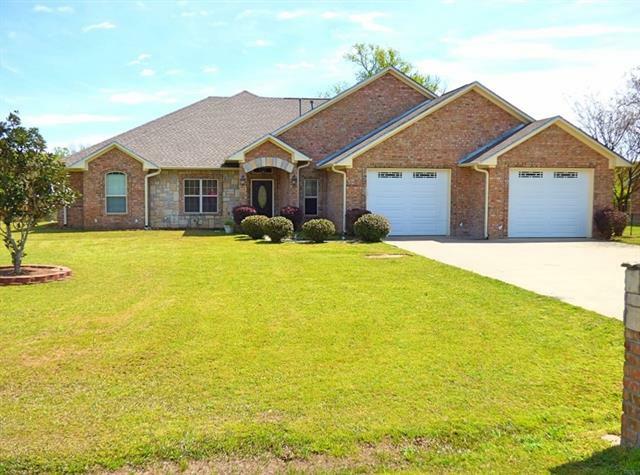 This 4 bedroom, 3 bath home has so much to offer! The stylish kitchen is and ready to accommodate a large family. The expansive living area opens up into the kitchen with lots of extra cabinetry for storage. Each of the bedrooms feature indented ceilings and spacious closets. The master bedroom en-suite has a sunken bath, shower and a huge walk in closet with built in shelving. Wake up every morning to beautiful views of Lake Tanke"
"This beautiful Park Hills Addition home is ready for your enjoyment. Built on a half-acre lot across from Dellwood Park, extensive work has been done to transform this mid-80s home to 2018 standards, including new roof (March 2018), full piered-beam foundation, 100% Austin stone exterior, wraparound Redwood-stained deck, and custom interior features, including granite and custom cabinetry in kitchen and baths. Two of four bedrooms are suites with private baths; two more secondary bedrooms, at th"
"THIS BEAUTIFULLY RESTORED HOME IN THE PARK HILLS AREA IS READY TO SHOW OFF. JUST OVER AN ACRE OF LAND ON A CORNER LOT WITH A SWIMMING POOL AND 2 CAR GARAGE.POOL HOUSE IN THE BACK YARD MAKES FOR A RESORT ATMOSPHERE. 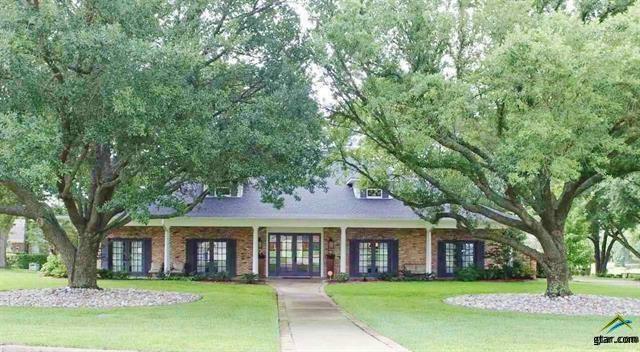 THE HOME HAS 3,693 SQ FT OF LIVING SPACE IN THIS 4 BEDROOM AND 4.5 BATH HOME. THIS HOME HAS 2 LIVING AREAS WITH. WOOD FLOORS IN THE FAMILY ROOM AND AN UPDATED KITCHEN. INSTANT HOT WATER HEATERS AND THE BEAUTIFUL POOL AND POOL HOUSE. THE BACK YARD IS LIKE A PARK WITH A PRIVACY FENCE. 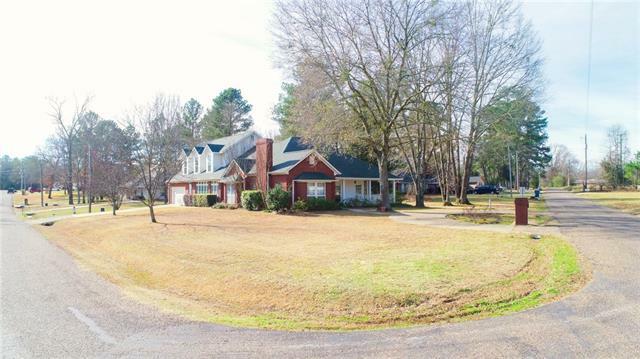 C"
"Beautiful 24.79 acres with newly remodeled house, in the well sought after Chapel Hill School district. 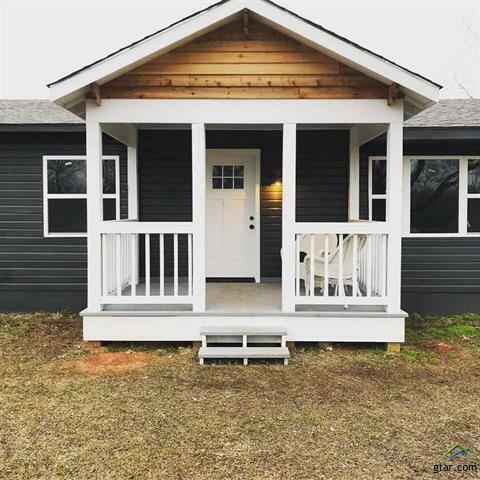 The cute farm house has a new porch on the front and also new windows, roof, sheet rock, paint, floors, kitchen, bathrooms, electrical and plumbing. New stainless steel, whirlpool appliances. It is a 1400 sq ft, 3-2, with central heat and air, with wood burning fireplace. 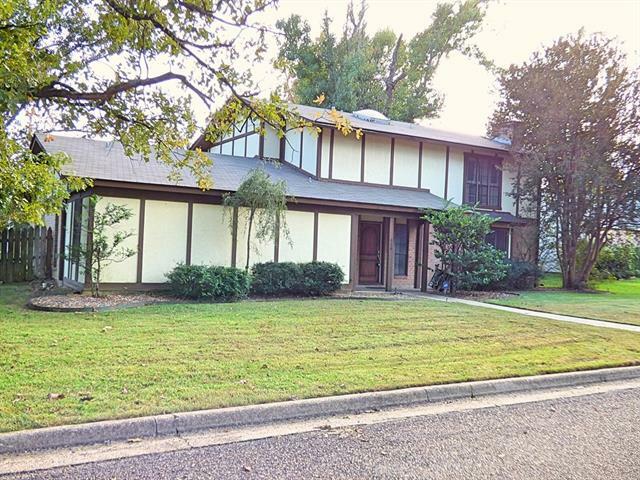 The property has access from FM 1000 and also on the side CR. 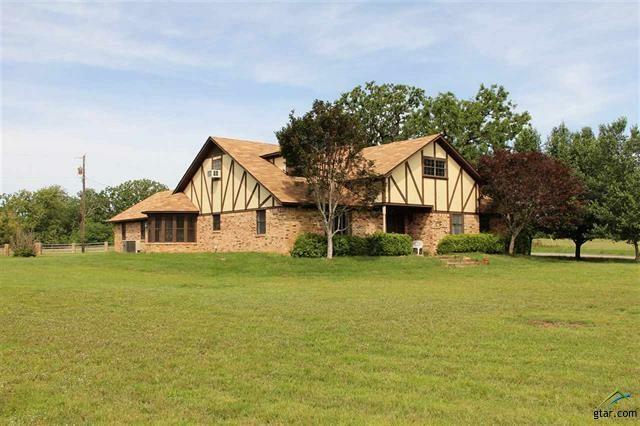 It is mostly pasture with very little timber,pond toward the "
"Home features 3 spacious bedrooms and 2 baths with approx. 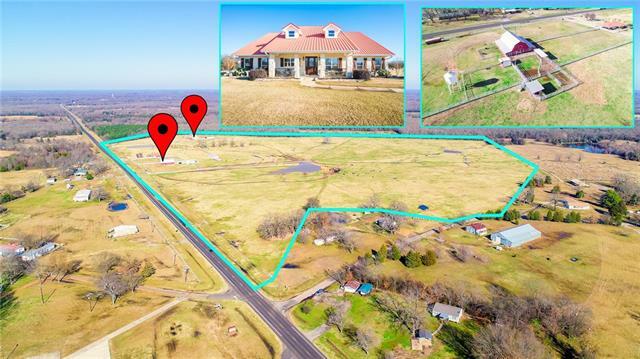 3,096 sq ft on 1.9 acres in the city. The openness of the kitchen, living area and formal dining room, makes this the perfect home for family gatherings. Large laundry room with a cedar closet will make doing laundry a breeze. Step out back to your own personal oasis with an in-ground pool, palm trees, pergola and greenery to make every day relaxing. For the gardener of the family there's a greenhouse connected to a storage building. Wi"
"Need more Living room (2259 sq. ft.) and 4th bedroom! This is a hard to find 4 bedroom under $200K. 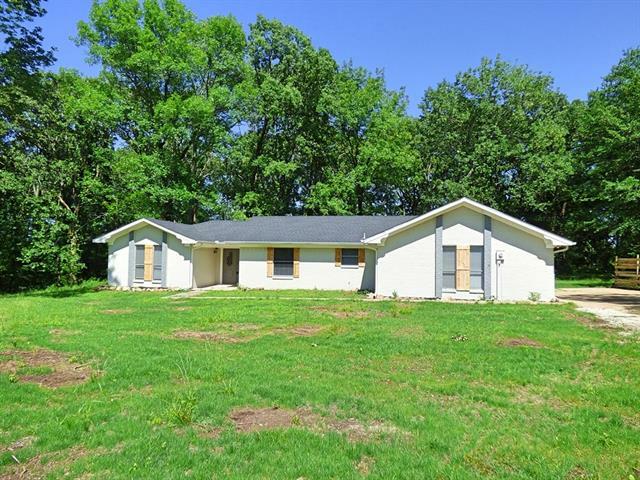 Spacious home with two and half bath sitting on one acre. Bedrooms are roomy and well situated for the whole family. You will enjoy the corner wood-burning fireplace on chilly nights. This open living concept leads to easy entertaining. Located in Harts Bluff ISD." 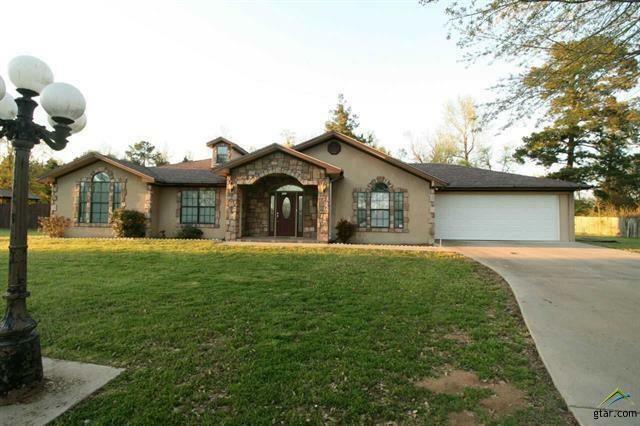 "A large family home with 3700+ square feet sitting on .75 acres. This nice home has 4 bedroom, 3 bath, 2 living areas, formal dinning, sun porch and game room. 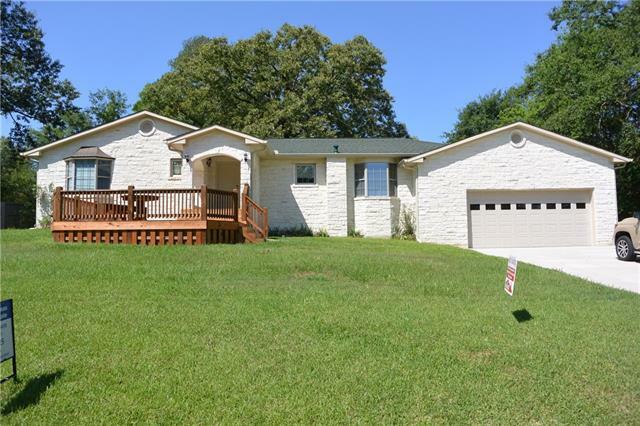 This home is very spacious and has plenty of living space for a growing family. With the country feel you will love the location. Great home.New roof April 2018"
"Looking for a Rachette in the country to live or play at? 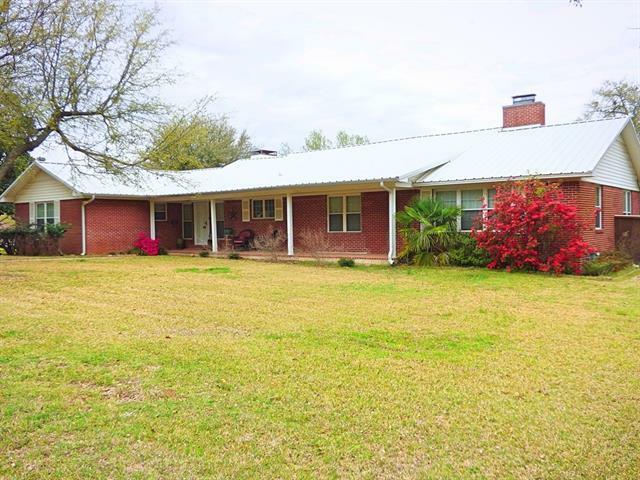 3 unrestricted acres in the country, with a cute 3 bedroom 2 bath home with a new kitchen with new cabinets, blue pearl granite counter tops and all new appliances. Two car garage and two carports with storage rooms for all your toys and hobbies. Large covered area for boat storage or turn into an entertaining area overlooking neighbor's beautiful large lake. 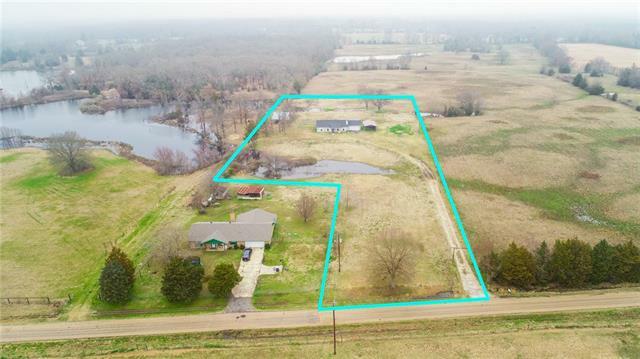 There is a small pond in front with opportunities for more ponds for your liv"
"SPACIOUS 2 STORY HOME ON 5,42 ACRES WITH ALL THE SECLUSION YOU MAY EVER NEED. NATURE ABOUNDS ON THIS LAND. OPENING INTO A FOYER IN THE DOWNSTAIRS AREA, YOU WILL FIND A LIVING ROOM, 2 BEDROOMS AND 2 BATHS, SPACIOUS LAUNDRY ROOM, KITCHEN AND DINING ROOM AND A FABULOUS FAMILY ROOM WITH A FIREPLACE . ON THE MAIN LEVEL OUTSIDE YOU WILL FIND A 3 CAR CARPORT OVERLOOKING THE SCENIC BACK YARD AND PASTURE. UPSTAIRS YOU WILL FIND A GOOD SIZE LANDING FOR HANGING OUT OR STUDYING AND 2 MORE GOOD SIZE BEDROOMS"
"This was a forever home .custom built for the only owners who raised 3 daughters here. The house has been lovingly taken care of over the years & is a gem for the family hunting a 4 bdm and 2.5 bth. The house has laminate wood floors in the utility room, half bath, kitchen, breakfast nook, den & master bedroom. There are 2 closets in every bedroom w-a total of 14 in the house. The kitchen has fairly new appliances, solid surface counter tops, a pantry, eating area & built in hutch. The fence"
"Where to begin? This home has been beautifully renovated w-almost all new everything! From the paint, appliances, fixtures, butcher-block counter-tops & more, even the exterior of the home has been given a new modern look! The kitchen has a farmhouse look w-a tile back-splash any home buyer would love! The home's three spacious bedrooms have been freshened up with -new carpet. The sequestered master bedroom has french doors leading to back deck and a large master en-suite with double vanities, s"
"DO NOT MISS OUT ON THIS HOUSE IN THE SOUTHGATE SUBDIVISION LOCATED ON A CORNER LOT. 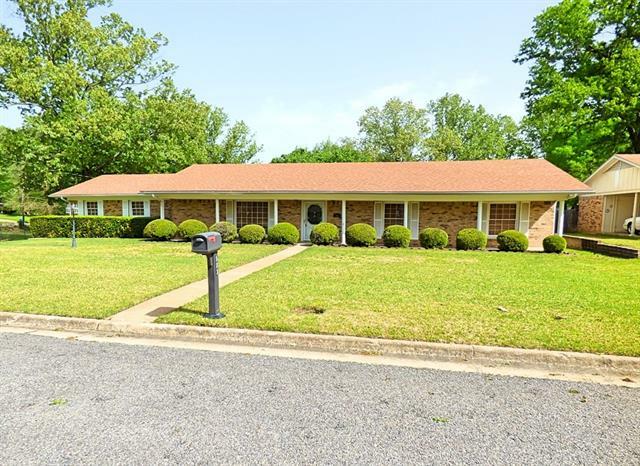 THIS HOME WAS BUILT IN 1978 AND FEATURES 4 BEDROOMS AND 3.5 BATHS, A LARGE LAUNDRY ROOM, SEVERAL ROOMS FOR FAMILY AND FRIENDS, AND LOADS OF STORAGE. CHECK OUT THE FORMAL LIVING SPACE AND A WARM DEN WITH A FIREPLACE, WOOD BEAMED CEILING, AND THE FLOORING IS SPANISH TILE. THE MASTER SUITE IS ON THE MAIN FLOOR AND THE MASTER BATH IS SPACIOUS. LETS DON'T LEAVE OUT THE KITCHEN WITH WOOD FLOORS AND A COZY ATMOSPHERE WI"
"Classic Charm with new updates! 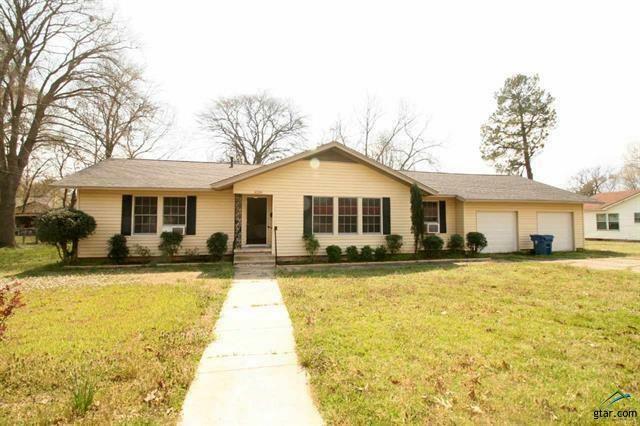 This lovely 3 bedroom 2 bath home has been updated with new paint ,gutters, & roof! The 2,100 sq. ft. home delivers ample closets & extra storage throughout. Spacious entryway leads to a formal dining area that connects to the kitchen & breakfast nook. Step into the expansive living-family room with a cozy brick fireplace & easy access to the home office. The large Jack & Jill bath connects 2 of the spacious bedrooms while the master suite offers its own private b"
"Let Us Peak Your Interest! Walk into a large comfortable living room with beautiful front windows. 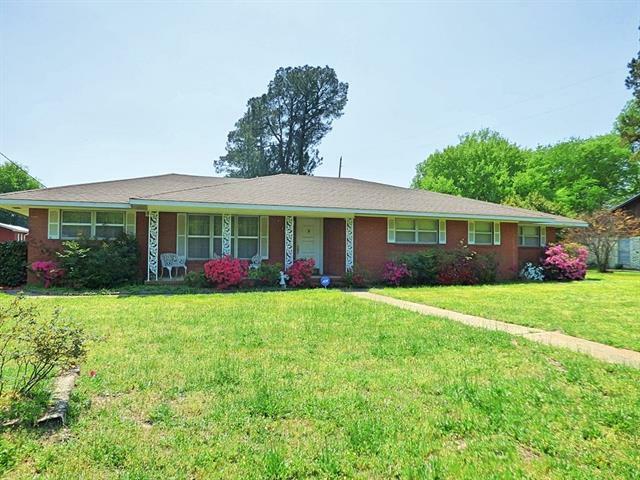 A total of 4 spacious bedrooms and 3 bathrooms, open kitchen-eating combo with original hardwood walls throughout, and for the outdoor enjoyment a backyard with plenty of room for fun family cook-outs."